Dark Horse announced a new Star Wars: The Old Republic comic, written by Alexander Freed, who wrote the Imperial Agent story for the game. 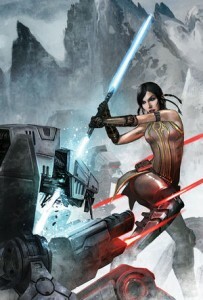 The new comic, The Lost Suns, will follow Republic spy Theron Shan, a direct descendant of Bastila and Satele Shan. The first issue will be released on June 8th.